It is the week of Valentine’s Day so I thought I would share some things you might want to make for your love, or just yourself this week! When the moon hits your eye like a big pizza pie that’s AMOREEEEEEE! Come on, I know you just sang that in your head. For some reason even though Italian food is often pumped full of fat and carbs it still just spells romance. That is why I am so excited to try this Skillet Chicken Parmesanfrom Iowa Girl Eats. 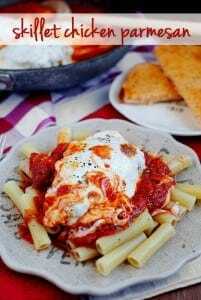 It is a lightened up version of the classic Italian dish and the colors and flavors just seem perfect for a romantic, or in my case, family Valentine ’s Day dinner. I don’t want to be looking all bloated for my love though so I want to keep it light as we lead up to the day ‘o romance so I found some awesome salad recipes to keep my taste buds dancing this week while keeping the hips in check. 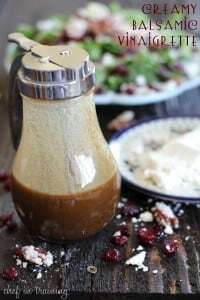 This Candied Pecan Craisin Feta Salad with Creamy Vinaigrette from Chef in Training looks so simple yet so perfect. I love that she uses a homemade creamy basalmic. Once you switch to homemade dressings, salad takes on a whole new place in your heart! 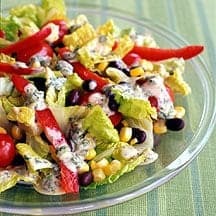 Also, this Santa Fe Salad with Chili-Lime Dressing from Weight Watchers is another salad that has gotten great reviews and with it being a Weight Watchers recipe you know it is waistline friendly! Since we did our part to lighten up with some salads, now let’s talk dessert! I mean chocolate manufacturers everywhere rejoice at the two simple words Valentine’s Day. It is the most decadent holiday of the year. So let’s get our chocolate on with this amazing looking pin, Double Chocolate Strawberry Pie from Vegan Diner. 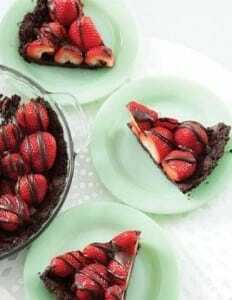 There is no more classic Valentine’s combo than chocolate and strawberries and this recipe brings them together in such a new and fresh way. But if you want to skip the fruit and go with the most decadent, chocolaty dessert imaginable then I would have to say the Minty Chocolate Mousse Brownies from Sweet Treats & More takes the cake, or errrr, brownie. 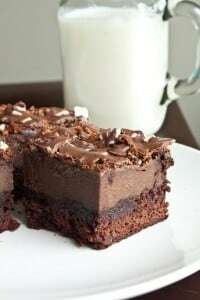 They have layers upon layers of chocolate served up with a hint of mint. Amazing. Happy Valentine’s Day to you! I hope you enjoys a little sweetness this week! This is Anabell from Cuddles and Bubbles. I really like your blog. You’re doing a great job with it, I’m following you. I’m going to try menu plan. I am so glad you are enjoying the Monday posts! I have to admit, I like the idea of meal planning but in the past it has seemed that life got in the way more often than not. I am glad to know this post will hold me accountable for doing each week now! Make sure to leave a comment if there are any particular types of meals you would like to see featured!